Winnie the Pooh’s real name is Edward Bear. Though it’s probably something that most people are unfamiliar with, he was named after the real Christopher Robin’s (that’s right, there was a real life Christopher Robin) teddy bear. But surprisingly, just as with the fictional character of the books and cartoon series, the teddy bear also had a nickname, Winnie the Pooh. So let’s take a better look at Winnie the Pooh’s real name, and discover why and how he earned the nickname of Winnie the Pooh. Winnie the Pooh, both the cartoons and books, were the work of author A. A. Milne. Milne was inspired by his son, Christopher Robin and his stuffed toy, a teddy bear. He created a fictional sanctuary for young Christopher to live out a child’s fantasy. His works would go on to become immensely popular with children from around the world. But it wasn’t always Winnie the Pooh, as the stuffed bear that the fictional character was named after had a very different name. Author A. A. Milne’s son had a stuffed toy bear, as many young children do, and he called it Edward Bear. That was its real name. But young Christopher soon opted for a new nickname for his favorite toy. He chose the name that we are very used to saying. But why this name? During the dark days of the First World War, troops from Canada were being transported from Winnipeg (Manitoba, Canada) to eastern Canada on their way to the trenches of Western Europe. While on the trip across Canada, a lieutenant called Harry Colebourn bought a baby black bear from a hunter who had shot its mother. The baby bear was named Winnipeg after his home town of Winnipeg. The bear became the Brigade mascot, and when it came time to go to the trenches of France, he loaned it to the London Zoo. In December 1919, Colebourne officially presented Winnie to the zoo, where she went on to become one of the main attractions, and a favorite among many people. 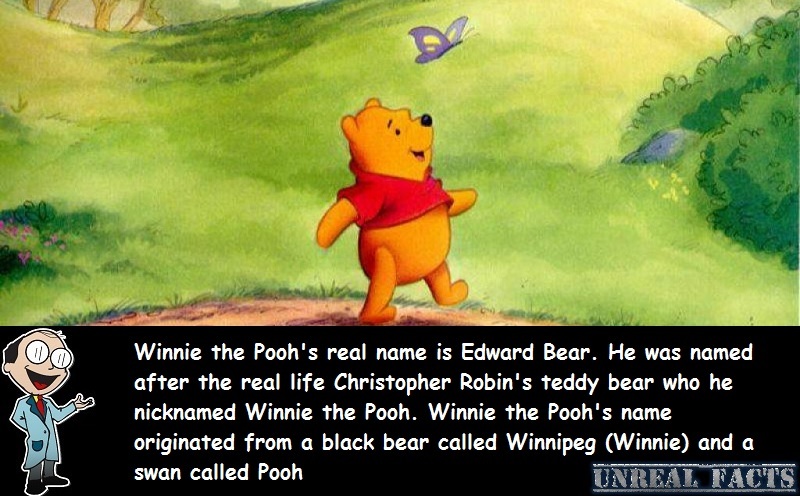 One of the people who took a particular fancy to Winnipeg was Christopher Robin, Milne’s son. He would spend a lot of the time with his favorite animal, and was even allowed to spend time with her in the cage. He was so enamored with the animal that he gave his own teddy bear the name of Winnie. 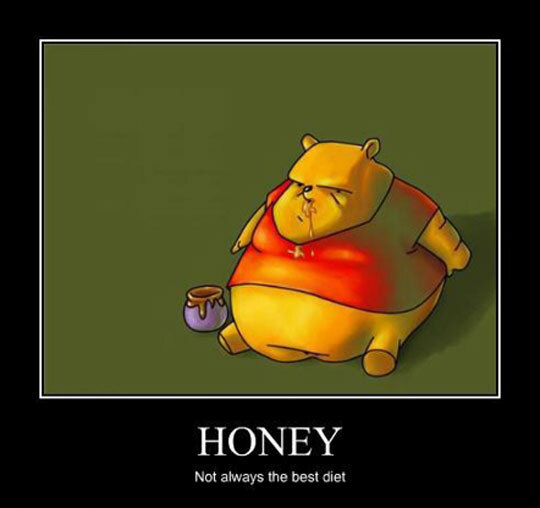 But what about the Pooh? Did he have a tendency to step in some bear droppings, so pick that name? No. The Pooh actually came from another zoo animal, a swan called Pooh. Young Christopher simply added together the two names to create a name that seamlessly rolls off the tongue. When Christopher changed the name of his teddy to Winnie, Milne also adopted the name for his fictional character. If you’re wondering if there was anything special about Edward Bear, well there was. Edward Bear was the name of a band, but the bear wasn’t named after the band. It was the other way around. Winnie the Pooh was the inspiration for the band. Previous article How Did Casper Die (the Friendly Ghost )? How Did Casper Die (the Friendly Ghost )?